In 1761, a group of Scots-Irish "Dissenters" (opponents of the Church of England) came to Baltimore Towne from Pennsylvania to escape the French and Indian War. 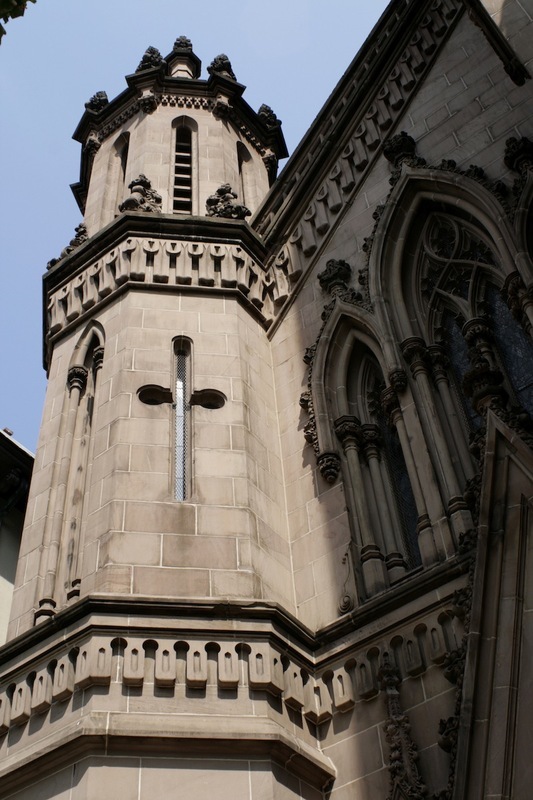 They founded the First Presbyterian Church, appropriately named as it really was the first, and remains the oldest, Presbyterian church in the city. The founding minister, Rev. Patrick Allison (1740 – 1802), was a Chaplain to the Continental Congress and was a personal friend of George Washington. 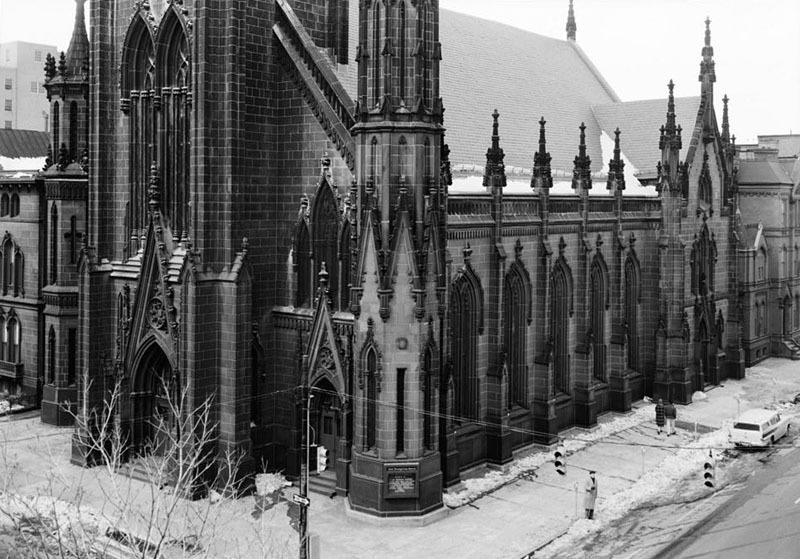 After locating in several places downtown, the congregation moved to Mount Vernon and built the current church between 1854 and 1859. 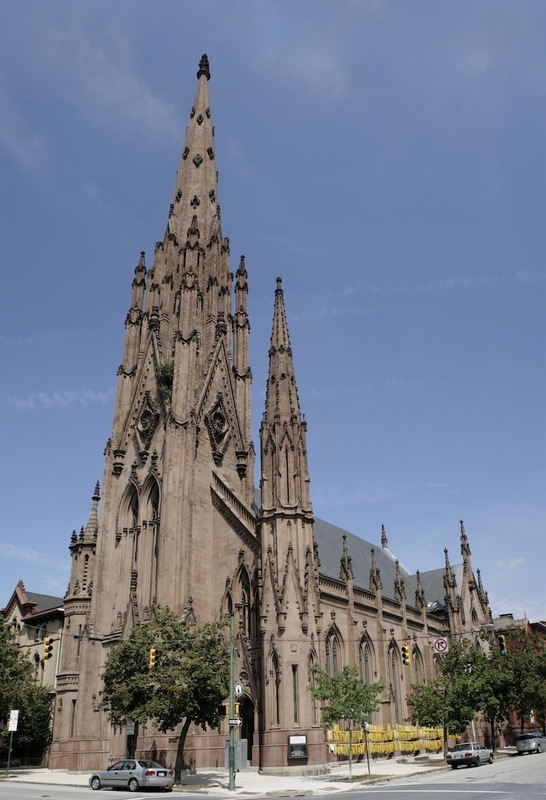 With its New Brunswick freestone exterior and 273-foot tall steeple (still the tallest in the city), this Gothic Revival church dominates Midtown Baltimore. 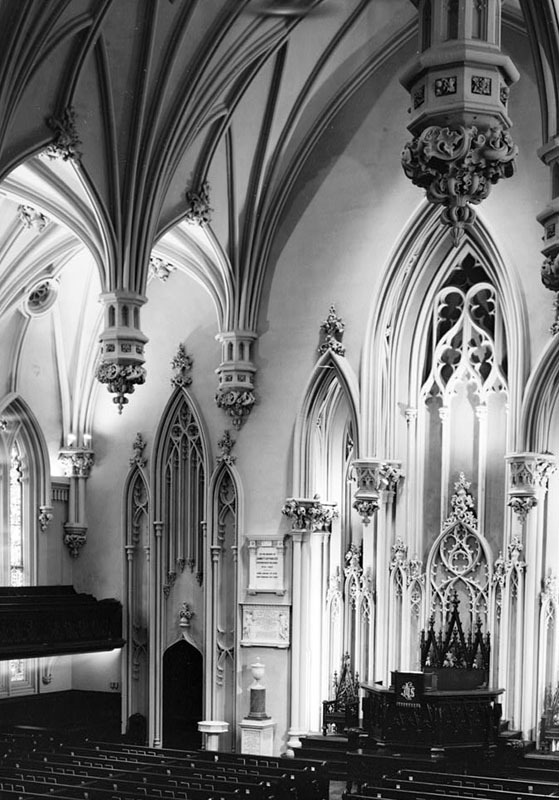 Construction started in 1854 under the supervision of architect Nathan G. Starkweather, a native of Oxford, England, and finished by his assistant Edmund G. Lind. Famed bridge engineer Wendell Bollman and the Patapsco Bridge and Iron Works of Baltimore produced the structural cast iron used throughout the church including the spire, which was not added until 1873. 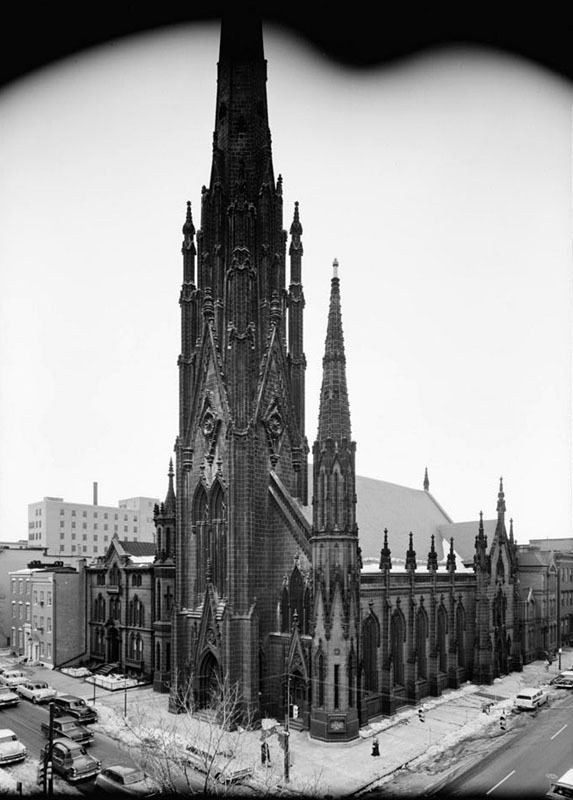 The church is a notable example of Gothic Revival architecture and a landmark in the City of Baltimore. The interior boasts a triple-vaulted sanctuary with massive plaster pendants and is considered one of the finest Victorian plaster interiors in the country. 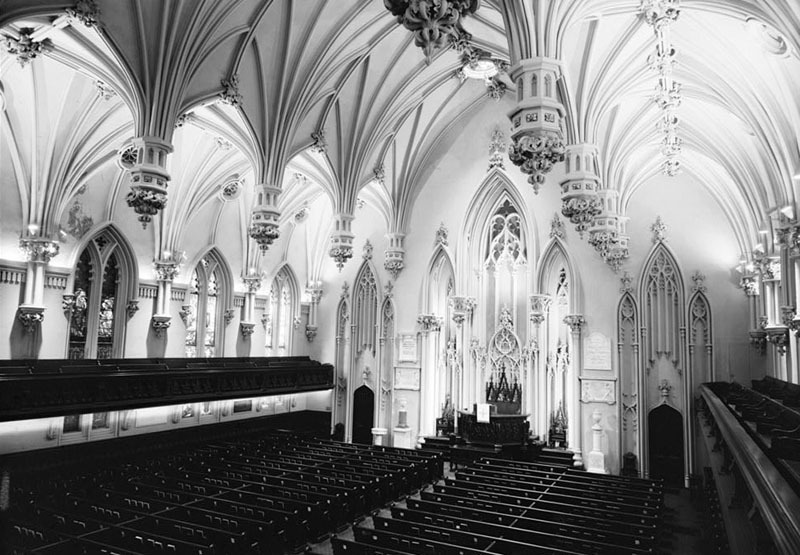 To pile on to this beauty, the church has many windows from Tiffany Studios, as well as a host of other companies from England, Italy, New York and Boston. 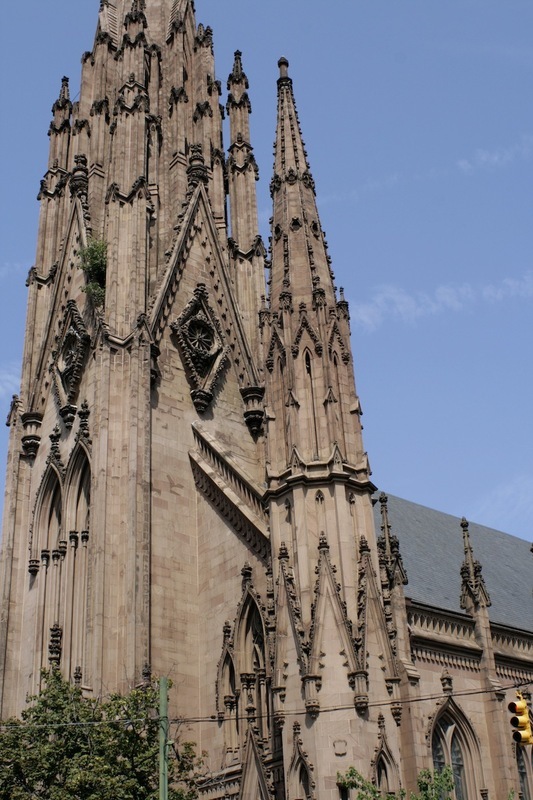 In 2009, the church embarked on an extensive restoration plan under the guidance of Murphy and Dittenhafer architects. 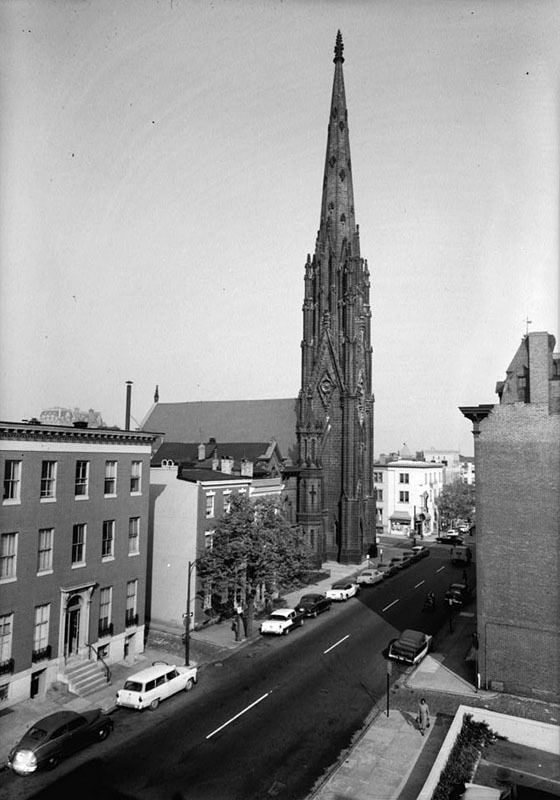 In 1973, the First Presbyterian Church united with the Franklin Street Presbyterian Church to form The First and Franklin Street Presbyterian Church, and in 2012 the congregation voted to change it to the simpler First & Franklin Presbyterian Church. 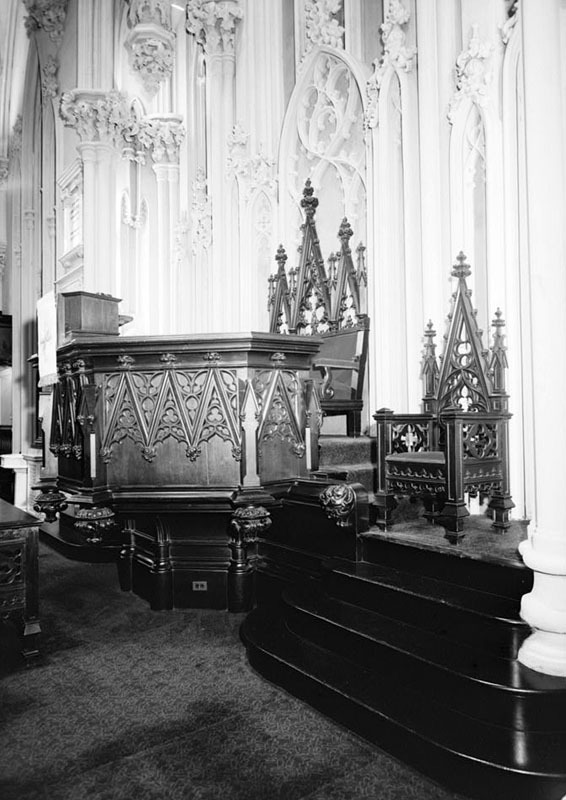 Johns Hopkins, “First & Franklin Presbyterian Church,” Explore Baltimore Heritage, accessed April 23, 2019, https://explore.baltimoreheritage.org/items/show/56. Published on Apr 27, 2012. Last updated on Nov 27, 2018.